Fun mission! I only played it on medium so I could have unlimited knockouts. Most of the loot was found... I have about 400 or so to go back and find. The only issues I had were with the map itself, fixed, mostly, with a dmap. I got the usual AA32 error when the map loaded, but I'm used to that and end up doing dmap on nearly every mission released. This time though, the map leaked when I dmap'd it. I opened it in DR to trace the leak and found it to be in the small box, sitting apart from the main parts of the map. I assumed this to be no more than a storage room for extra map stuff. There was a candlelight inside it (number 39, 40 or 41, not sure which) which had the red line pointing from it through a wall of that room (notexture). I ended up with the world wrapped in a huge stone wall, instead of a skybox... though I could see the moon poking through the wall. It looked really strange when looking out at the area outside the mansion grounds, but besides that it was quite good. Very odd. Certainly a linux issue, or maybe a corrupt download? The .map-file is only a text file, so it totally eludes me why your map-file is different in linux, thus resulting in dmap issues. Other linux-users! Has this mission had the same issues? Thanks, plays great so far. jamming the mechanism was a good ("I wonder if") one but I guess one could just grab the sceptre and run if not? stash of bottles behind crates even though I searched behind two or three piles of crates. sleeping noble clutching a bottle always awoke when I grabbed it and said he saw something. I definitely didn't touch him. I didn't actually need the loot but I couldn't quite see what it was until I got it. Nice to finish an FM without getting stuck for a change. I'll vote good to excellent on all 3 I think then have a read of this thread now. Thanks for the ttlg post and the moddb news, gentlemen. Ever tried to grab a sleeping drunks bottle IRL? The drunk noble wakes up, says "huh, wheresh mah bhottle" and looks for it briefly and goes back to sleep. That is, if you grab the bottle properly from the darkness and he does not spot you. Horrid voice acting by me. I tried to speak at a higher pitch voice to mimic the real noble vocals. I played in Linux. I didn't have any leaks or anything like that, but I did get the "out of date" message and had to run dmap. This happens only with some missions and not others, like Bikerdude's latest one. I wonder why that is. I get the out of date errors with nearly half of the FMs. I dmap if they are for AAS32 or AAS48, etc., but I ignore the message if it is only for RAT paths. What surprised me was that the map leaked. I think I'll download it again, from the first mirror this time, and try it again. I'll dmap it anyway, but if it leaks, I'll try to fix the leak properly so there is a skybox around instead of the wall like I did yesterday. If you still have that pk4 please email it to me, pm me and I'll give you my email, I'd like to try it on my computer also. Linux platforms and capitol letters in map entities or assets? That wouldn't cause a LEAK on compile though, if it was a directory structure issue you might get missing model or entity, but either the brushes that seal the void are there or they are not. The location and orientation of entites and assets are stored in the .map file, so if that file is missing then dmapping would come up with the error that the map file was not found. I am aware that linux is case sensitive OS. When mapping, I tried to make sure all the assest filenames and material definitions are lowercase and they are. Some map entity-names I had in CapitalCase, but that shouldn't matter I think. And is there an explanation why linux maps need to have to be re-dmapped? All the mapname.map and mapname.aas32 are lowercase, so I fail to see how it is a case problem. Nevertheless, it weird and obviously it makes linux games' life a lot more difficult. Yes please email me that maps pk4 file, I want to try it on my windows machine, maybe linux does something weird to it, like some file permissions on the aas files that won't allow Doom 3 to read them. Hey Sotha I had a great time playing through this!! Thanks for all the hard work!!!! Ok, when I dmap, I get the leak like I said before. In DR I check for the leak and the line i always centered in candleflame41 and goes straight out through the walls of the small skybox. Those walls show no texture applied to me. If I apply any texture to them, then I can dmap. I applied the basic skybox texture to that room and it worked, but made the sky a solid dark color that would rapidly change as I moved my head around... I'll try with a different skybox texture... maybe. I also noticed that outside of the manor grounds, the trees and other objects seem to be floating in mid-air. Now that uppercase and Linux is being discussed, I decided to look into the pk4. There is a .mtr named 'Customskies.mtr'. In it is defined the terxture for 'hills.tga'... hmmm... this might explain why the trees outside are floating in mid-air... and possibly my other skybox and leak problem...? I'll try renaming that .mtr to all lower-case and give it another go, as it is the only file in the .pk4 which has an upper-case letter. I can't seem to find 'textures/custom/skies/hills.tga' in either the .pk4 or in the darkmod path, unless it it tucked away in another .pk4 which I didn't notice. OK, I find /env/custom/hills_*.tga ... the * being each of 'back,down,forward,left,right,up'. But I find nothing for 'custom' in the /textures path. Edited by PranQster, 11 November 2010 - 05:50 PM. Ok... changing the 'Customskies.mtr' to lowercase 'customskies.mtr' fixed the terrain outside. It looks awesome now. But I still need to dmap to fix the AAS32 error and the map still leaks when I do. I know that the issue is with the textures applied to the small skybox room which contains various things including the candleflame lights. What texture should be applied to this room? Is it 'textures/custom/skies/hills.tga'? If so, where can I find that since it seems to be missing? Note that Dr prolly checks only your darkmod folder for assets. If the texture and material files are in the installed FM folder theyre not visible in dr.
You need to copy folders materials, dds and textures from the FM package into your main darkmod folder. Then DR can see 'em. The skybox room should have this hills texture applied. Correct, the materials file was ignored until I changed the capital C to a small one. I found 'textures/skies/custom/hills' in DR... I thought it was missing because in DR, the texture on the skybox room says 'shader not found' and I did not see the /textures/skies path in your .pk4 or in the darkmod ones. In any case, the map still leaked when I tried to dmap to fix the AAS32 error. But I fixed it by applying 'portal_sky' texture to the outside surfaces of the skybox room, and leaving the inside surfaces alone. Then the map compiled fine and the hills skybox rendered perfectly. I guess I could have used 'caulk' on the outer surfaces, but it worked anyway. By the way, I had been too busy fixing these quirks that I forgot to complement you. This is a great mission and I really enjoyed playing it. in the pool outside, but I can't see or reach it. I could pick 2 coins out of the pool along with 3 water arrows, but I see 3 coins in the pool in DR.
the 3 guys who leave the mansion grounds at the very beginning. lootbag on sleepy_guard3... probably because I left him sleeping and didn't check his belt properly. Edited by PranQster, 12 November 2010 - 01:47 AM. Ahhh... the .mtr file lists this as 'qer_editorimage textures/custom/skies/hills.tga' instead of 'qer_editorimage textures/skies/custom/hills.tga'. That doesn't affect the game, but it does affect the material appearing in DR.
Apart from all of that, can anyone please tell me which folder or .pk4 file is supposed to contain 'textures/skies/custom/hills.tga'?? I checked the folders and .pk4 files in '~/.doom3/darkmod', '~/.doom3/base', as well as my actual Doom3 install directory, '~/apps/games/doom3/base'. I ran the darkmod update script and everything checked out ok.
Edited by PranQster, 12 November 2010 - 02:45 AM. Thanks for another GREAT mission, Sotha! Completed it twice, first on expert, then on hard, with lots of knockdowns, and more exploring. There were lots of sneaking fun, and multiple entrances is always a plus. The alarm, and the fact that you can use game physics to shut it off is a nice touch too. The starting courtyard seemed a bit bland. But there were lots of custom ressources, and nice details, like the alarm mecanism. I especially liked the round cornes of the wooden handrails, for some reason. It was a basic story, but the fact that there were so many other readables in the map, and a side story is a bonus. The card players seemed a bit over sensitive, but after a few tries I managed to alert only two of them when I doused the candle, leaving the third to play cards alone, poor guy. 3 times Exellent? 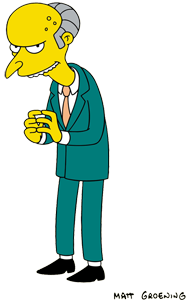 This calls for a picture of Mr. Burns. Thanks a lot for the nice feedback. I'm glad people have enjoyed the mission! Ahhh... the .mtr file lists this as 'qer_editorimage textures/custom/skies/hills.tga' instead of 'qer_editorimage textures/skies/custom/hills.tga' . That doesn't affect the game, but it does affect the material appearing in DR.
Apart from all of that, can anyone please tell me which folder or .pk4 file is supposed to contain 'textures/skies/custom/hills. tga'?? I checked the folders and .pk4 files in '~/.doom3/darkmod', '~/.doom3/base', as well as my actual Doom3 install directory, '~/apps/games/doom3/base'. The skybox texture does not have DR editor image I didn't bother to do that since skybox textures never need to be aligned.. It just shows shader not found. This is normal. The hills-skybox texture is custom asset which comes with the mission. The textures are not in the darkmod pk4:s. It is in the knighton manor pk4.